Pouch features ultra-suede pull-cord closure, durahide trim and nylon mesh accents. Includes wood tees and textured green gift box. 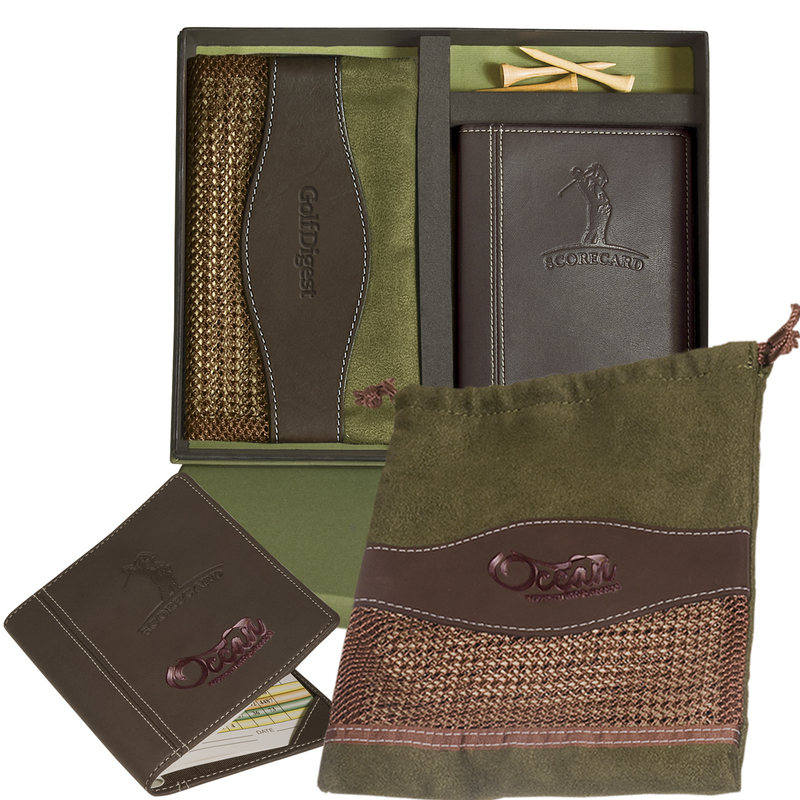 Price includes embossing on scorecard holder and pouch. Box can also be imprinted. One time set-up fee will be added for logo embossing. This item requires a minimum quantity of 50.